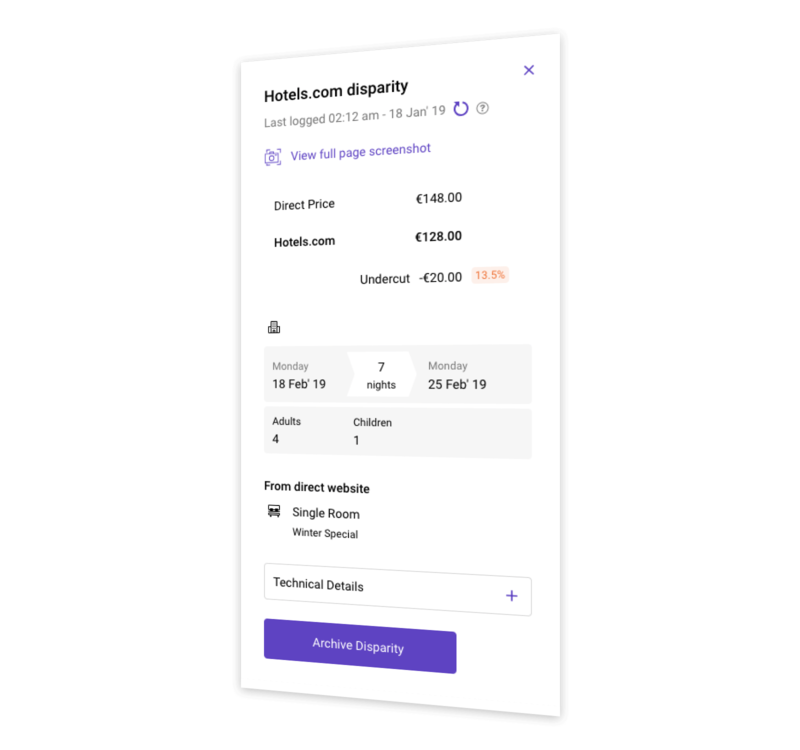 Keep track of OTA undercutting and unpackaged wholesale rates to take ownership of how your rooms are priced online. Stop competing with your own inventory and make sure guests get the best rate from you. Access a live feed of every search on your website that’s being undercut by an OTA. View all the details and identify the patterns that are causing disparities. Help us build a solution to tackle the wholesaler issues faced by hotels. 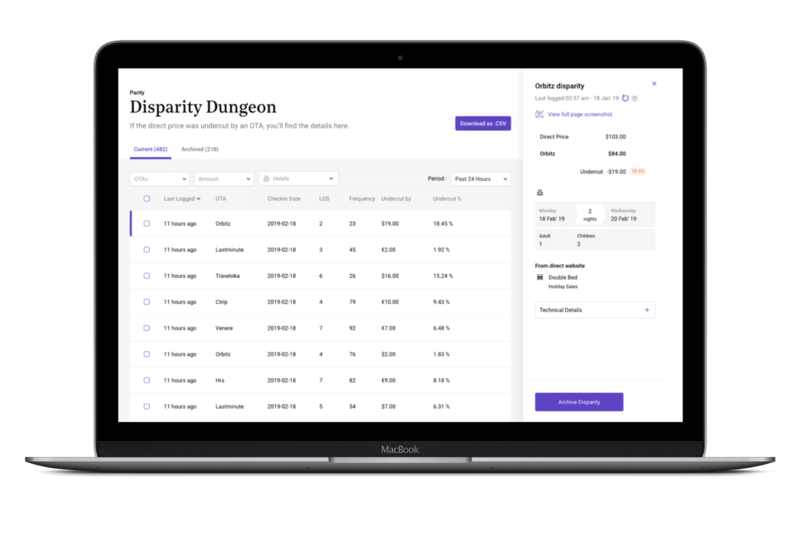 Add wholesaler monitoring to your Disparity Dungeon. Get in touch to join the waiting list. Show them the evidence. Download a screenshot of every disparity to resolve parity issue faster. 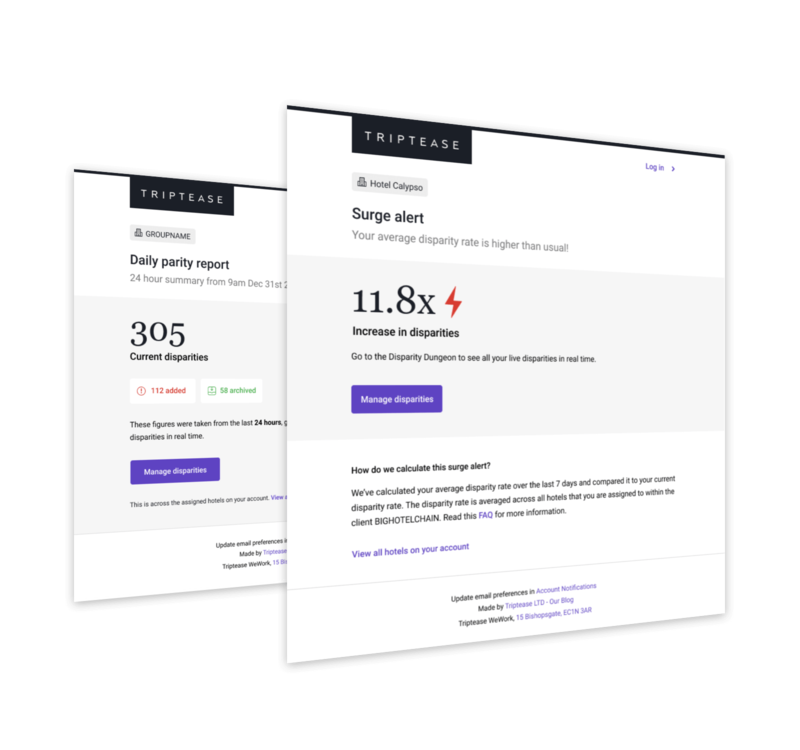 Get daily or weekly reports straight to your inbox for a quick overview of your performance. Unexpected spike in your disparity rate? We’ll send an alert so you can fix the issue asap.